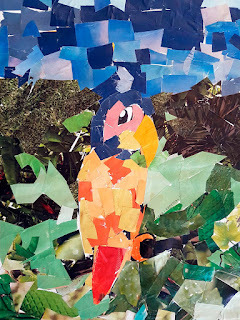 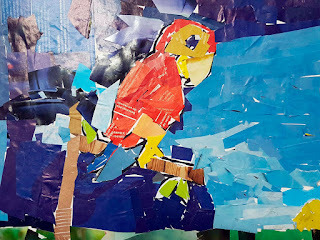 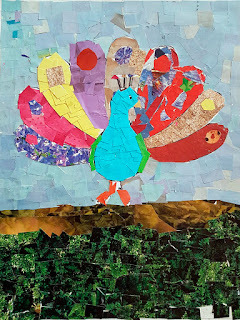 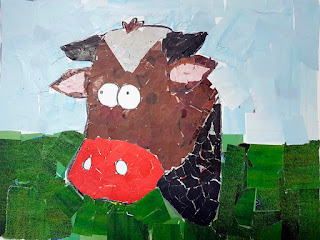 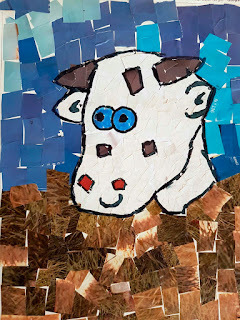 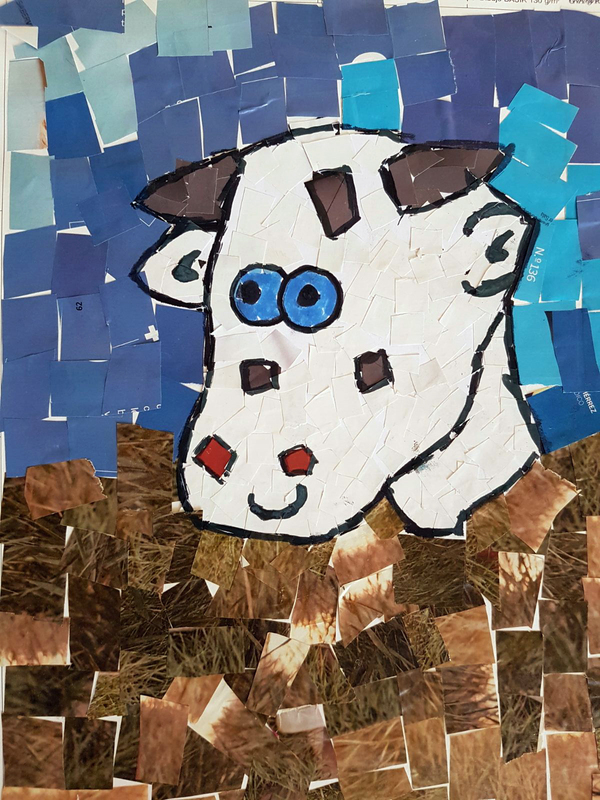 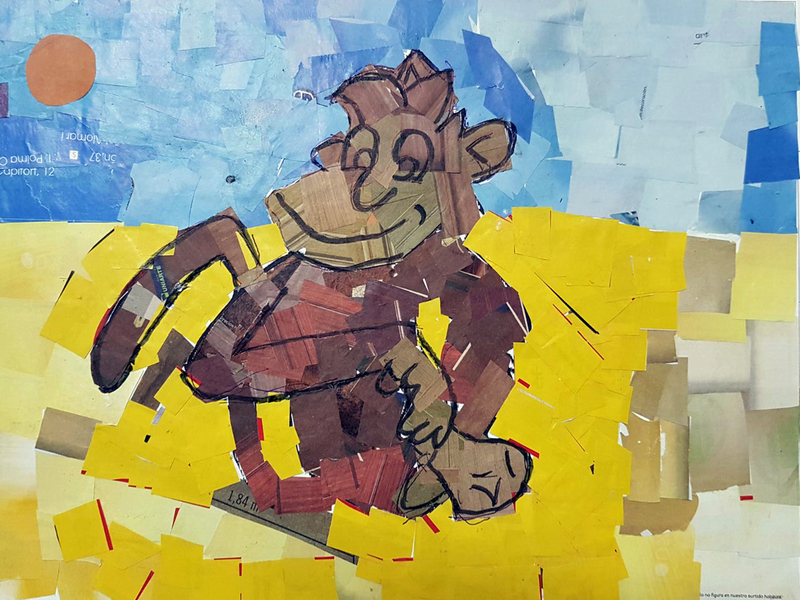 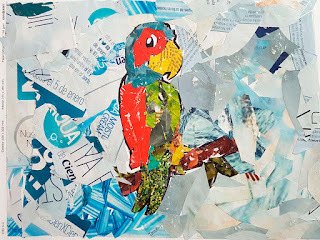 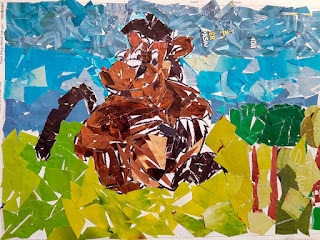 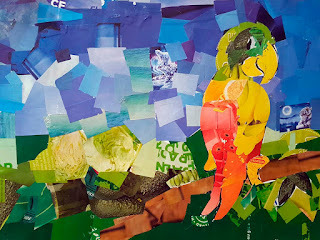 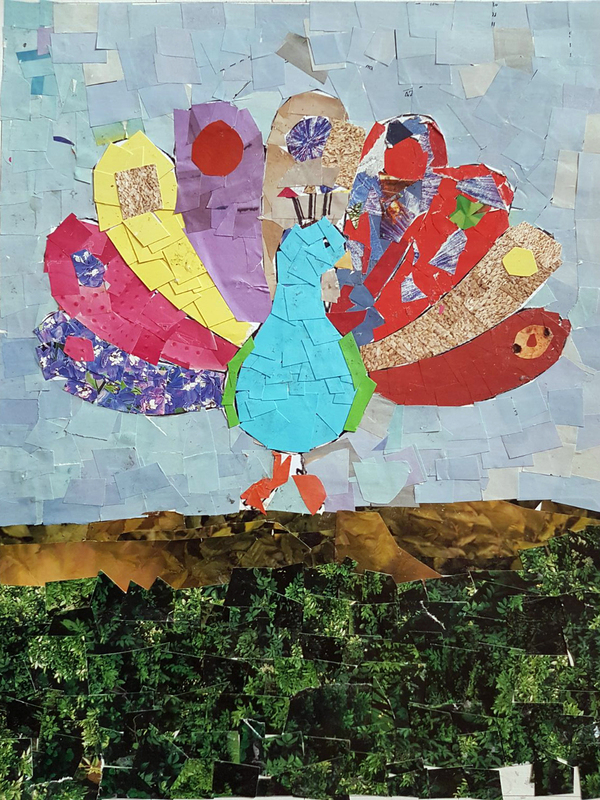 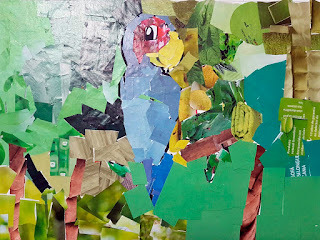 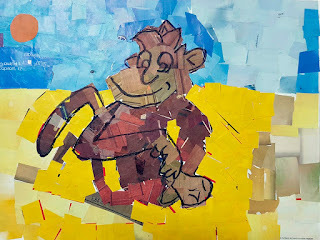 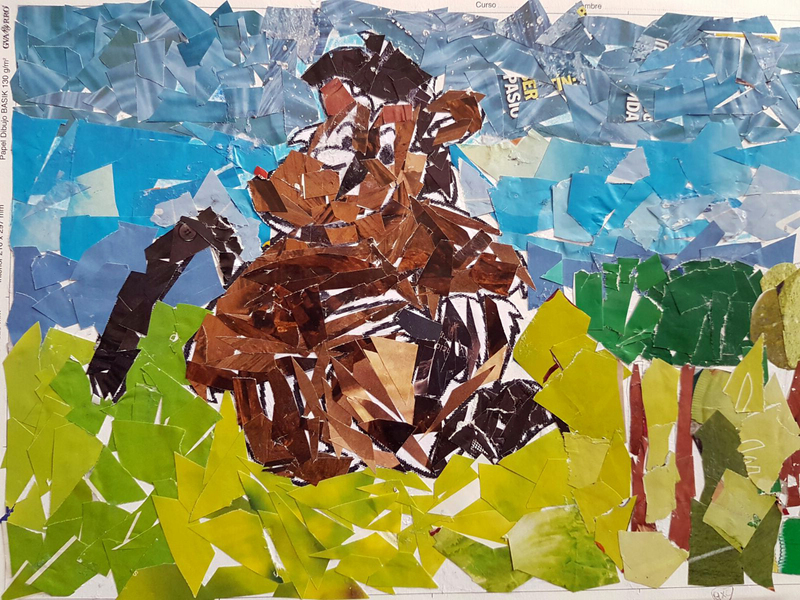 The 3rd and 4th graders have made these beautiful collages out of pieces of torn magazine paper. 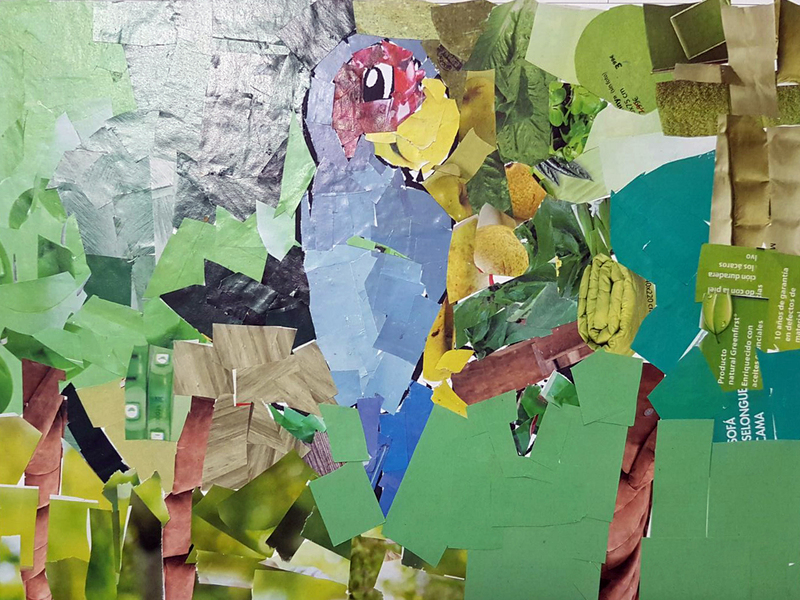 Two different kinds of compositions have been designed: an animal over a background and a surrealistic one. 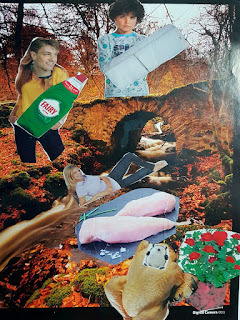 They have had great fun with some of the weird outcomes, like a human body with an animal head. 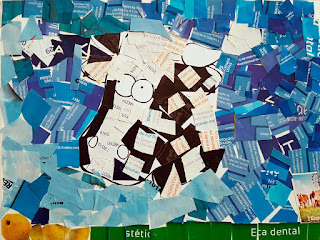 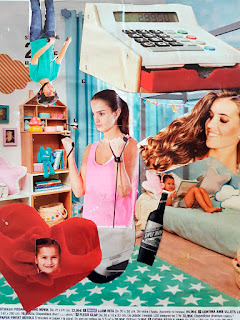 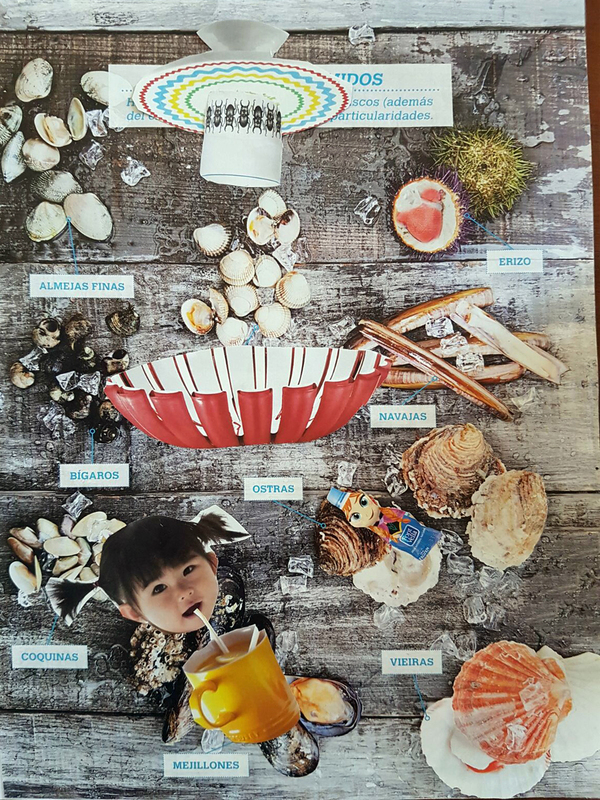 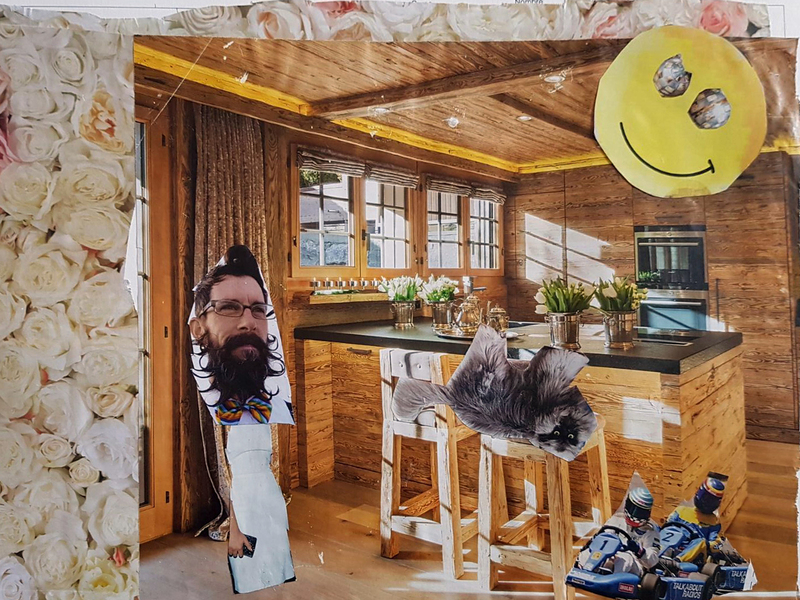 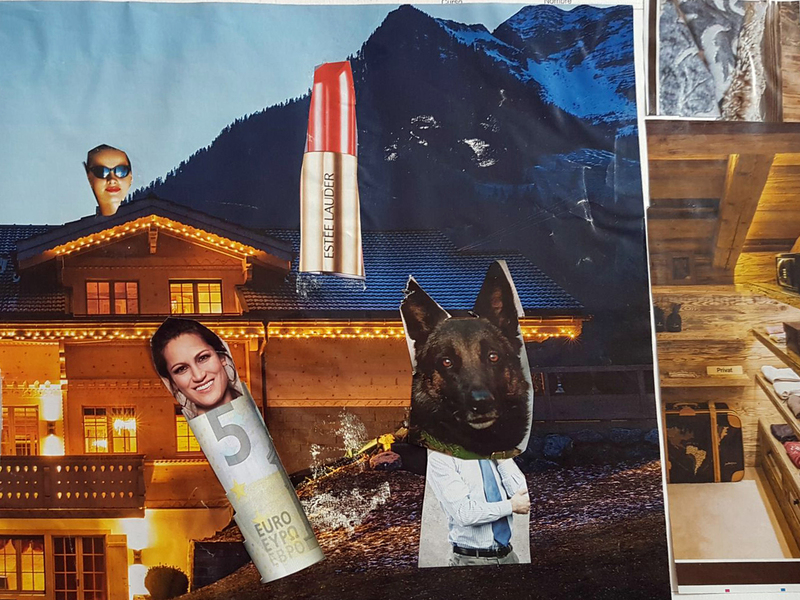 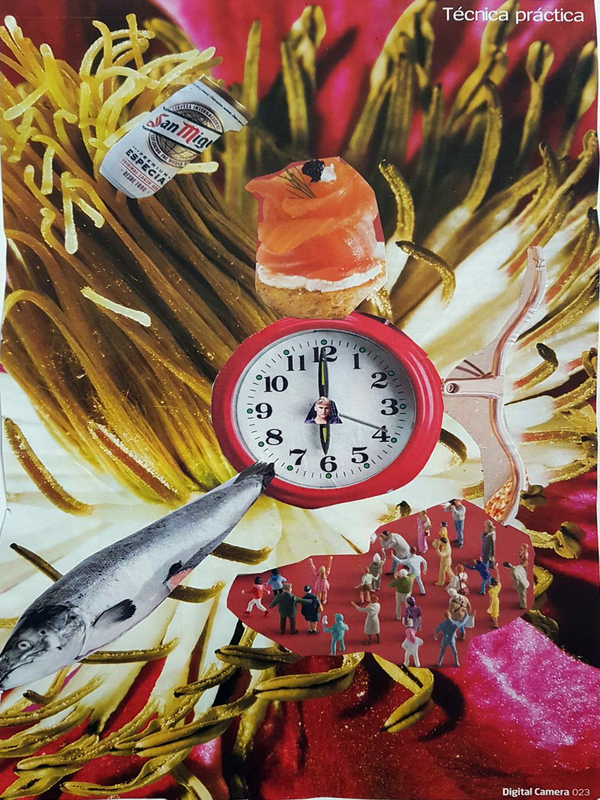 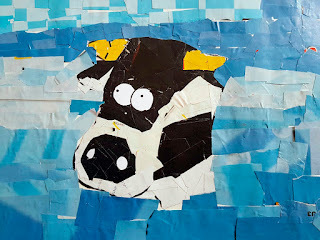 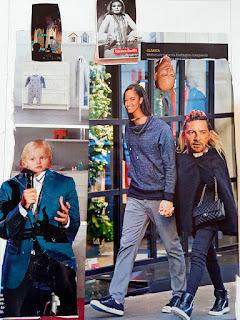 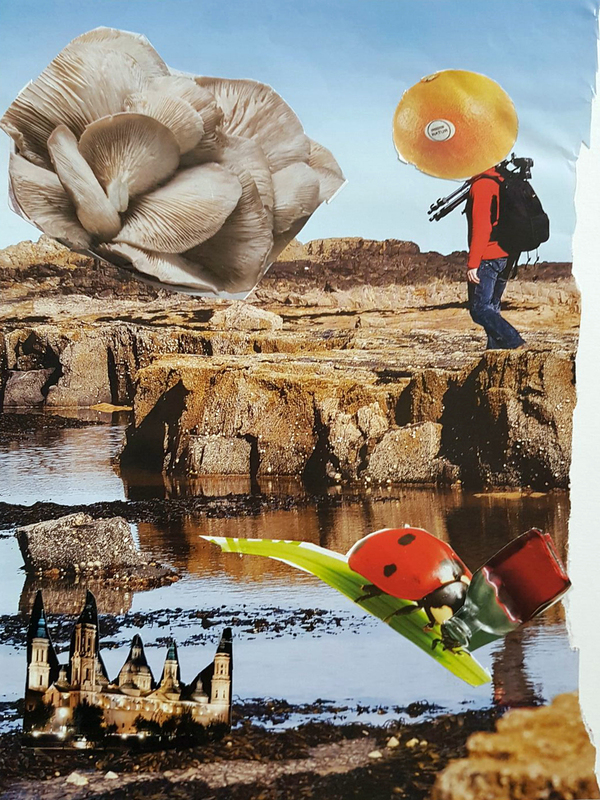 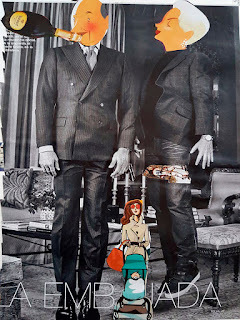 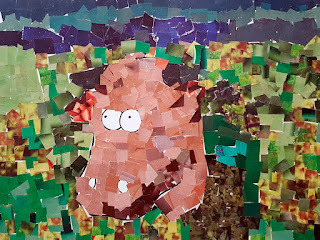 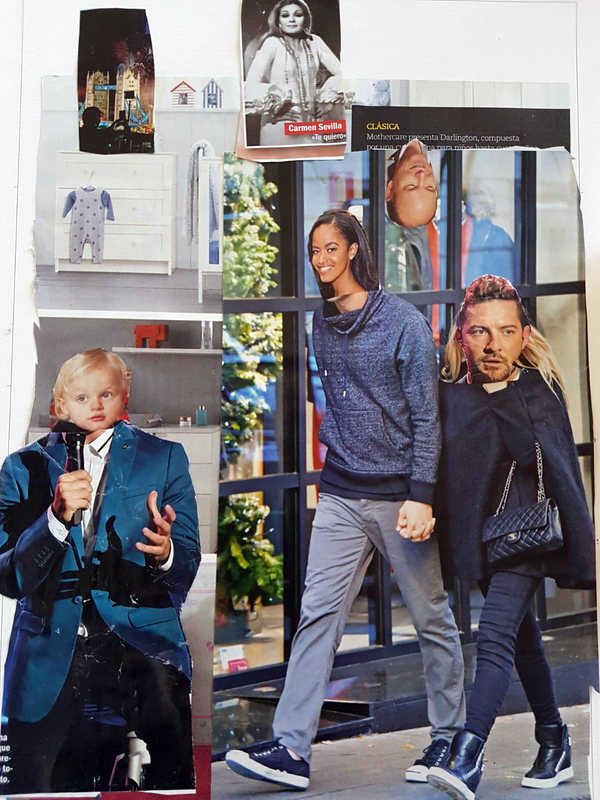 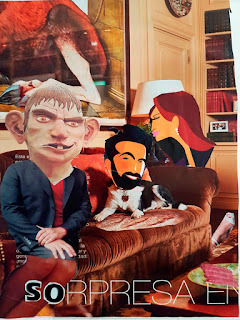 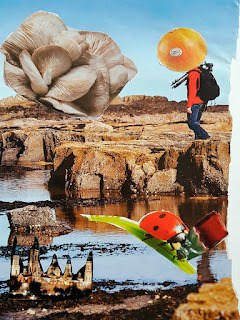 Els alumnes de 3r i 4t han fet aquests collages preciosos amb bocins de paper de revista. Han fet dos tipus de composicions: un animal sobre un fons i un altre de surrealista. 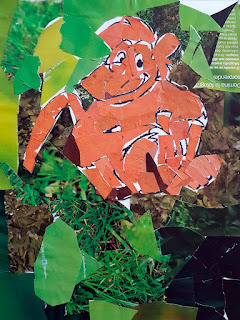 S'ho han passat pipa representant coses absurdes, com per exemple persones amb caps d'animals.